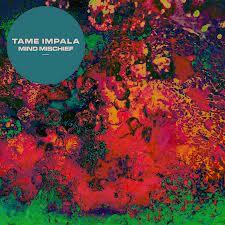 I really enjoyed Tame Impala's 2012 record Lonerism, with "Mind Mischief" being one of the stand out tracks. Now, Ducktails released a new official remix of the song by tweaking it with some electronic and even hip hop elements. The original has a psychedelic/indie sound, but mixed in with some new bass and percussion, you have a solid remix. You can stream the NYC DJ/Producers' mix below and you'll find it on the "Mind Mischief" single EP, which you can get right here.